The Stache sports podcast is brought to you exclusively by Kokopelli, your number one source for NMSU news. 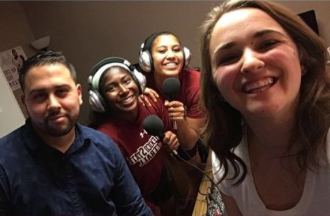 Join host Abel Carrillo and co-host Leah Peery as they express their views and opinions on a wide variety of sports topics. The duo covers national and local sports topics with an emphasis on NMSU athletics.